LG started rolling out the Android 6.0 Marshmallow update to the G4 smartphone in Poland last month, and now the update has begun hitting the flagship device in the company's home country of South Korea. Poland isn't particularly a major market for the company, so last month's roll out there was essentially a test run. And with Android 6.0 now rolling out in a main region like South Korea, it looks like LG didn't face any major issues with the update in the European country. In South Korea, G4 devices with model numbers LG-F500K, LG-F500L, and LG-F500S are currently getting the update, which brings features like the new Doze mode that helps save your device's battery, better permissions management and microSD support, and more. A couple of LG apps - Q+ and Bridge - have also been renamed to Memo Capture + and AirDrive, respectively. There's currently no information on which regions will be getting the update next. 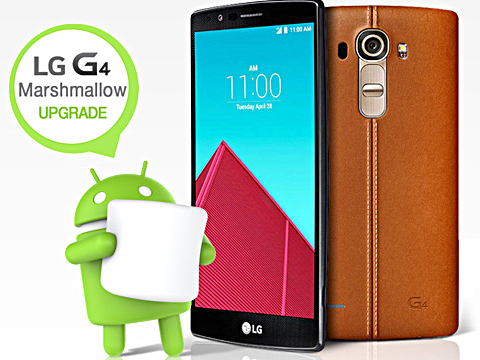 is lg g4 dual sim phone a good one in all respects. is lg's service back upgraded. pl. suggest me whether i shall buy or not. how is its audio quality through headphone. It shows some up, can I update date it. ( G4- H818N) Dual sim Indian Phone.